With a much photographed harbour setting, the pretty capital of Wellington is an ideal setting for a wedding venue. The scenic harbour views and surrounding rolling hills create a wonderful backdrop for a Wellington wedding venue. The city is popular tourist destination with a good selection of hotels, with options to suit the different ends of the budget scale and size of wedding party. The compact city centre is easy to navigate on foot, has good transport links and means you're never far from a scenic view, shopping and restaurants. 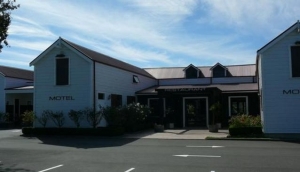 A short drive out of the city is the captivating Kapiti coastline with pretty coastal towns and stunning beaches, while the Wairarapa wine region features lots of wineries, many offering full wedding venue services.